A customer is any distinct individual who is listed as a contact on the account (either manually or through self-registration). Typically customers are a client of 1 or more of the account's services, though it is possible to have customers without access to any services. When a customer is granted access to a service, they become available to be added for selection as the customer for all incidents raised on the service. And if they are given portal access, they can log in to the Customer Portal to create and track incidents, search the Knowledge Articles and view messages. Customers can also be assigned to specific companies as employees. You can choose whether or not each customer on your account is given access to the Customer Portal, and can even customize the features and services to which they have access. No Access – These customers have no access and cannot log in to the Customer Portal. Standard Access – These customers can log in to the Customer Portal and submit incidents only for the specific services to which they have been given access. Company Access – These customers can log in to the Customer Portal and submit incidents only for those services to which their company has been given access. Company Admin Access – These customers can do the same things as those with "Company Access", plus they can view and modify incidents submitted by other employees in their company. The "Access to Services" setting determines which services a customer will be able to log incidents for when they log in the Customer Portal (only those services to which the customer's company has access will be shown). You can add a single customer at a time as follows. To add more than one customer at a time, see Create multiple customers (upload via CSV). Go to Configure > Customers > Create New Customer. Go to People > New Customer. On the New Customer page, enter the information for each of the tabs (i.e., General, Services). Name & Contact Info – Enter the customer's details (e.g., name, email address) and select a company for the customer. Each customer can be assigned up to 1 company (or no company at all). 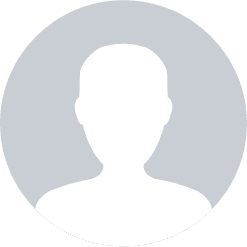 Avatar – Click Change to upload a photo, icon or logo to represent this customer. This avatar will appear within Service Desk records affiliated with this customer. Additional Details – Click to add additional contact information about the customer (e.g., phone, job title). Customer Portal Access – Specify the user's Customer Portal access, as described above. Email Format – Choose from HTML or Plain Text formatting for emails sent to the customer by Service Desk. Feedback Emails – Choose whether or not you'd like the customer to receive feedback request emails after an incident has been closed. Time zone – Select the time zone in which the customer resides. Locale – Choose the regional language for the customer (i.e., Deutsch, English, Español, Português, Français, Italiano). Services – Click Add to jump to the Services tab. Access to Services – Specify the customer's access to services, as described above. Select Portal Access or No Portal Accessfor each service. Click the icon to remove a listed service. You can upload multiple customers at once using a CSV file. This is also useful for importing historical customer data from a former data-management system. 1. First, create a comma-separated file (.CSV) containing the customer information. Note: You can either download and use a sample .CSV file, or create one that adheres to the requirements listed below under Create a compatible CSV file (for uploading customers). 2. Go to Configure (or People) > Customers. 3. Click Import Customers at the bottom of the page. 4. On the Import Customers page, click Browse to upload a .CSV file. 5. Select which services the customers should have access to. 6. If desired, select the "Send customers Customer Portal Activation emails" check box. 7. Click Upload! when ready. 8. A "Confirm Results" page will show you the customers that you are trying to add, as well as any errors that were triggered. Review and then click Save. 9. An "Importing Customers" message displays while the contacts are being uploaded. Once finished, the results are displayed. Click Customers to return to the Customers page. You can also export a .CSVfile containing all of your customers. 1. Go to Configure > Customers. 2. Click Export Customers at the bottom of the page. 3. When the download window opens, you can choose to open or save the file. 1. Go to Configure > Customers > [select customer]. 2. Make the desired modifications. Note: If a user, customer, or admin is deleted, the personal identification information (PII) associated with them is automatically removed from our system and is displayed as a blank value in all associated record data. Delete Customer – Click to remove the customer from the account. Delete & Blacklist Customer – Click to remove the customer from the account and also add their email address to the blacklist. 1. Create a header row. On the first row of your spreadsheet, fill in the name of each customer according to the possible fields (listed below). Limits: String can be up to 255 characters, and text can be as long as you like. Duplicates and Updating Existing Customers: Existing customers are detected with an exact match of their email address – if they already exist, they will be ignored during the import. Also, if there are duplicate customers in the CSV, these are also ignored but messages will be raised. 2. Fill in customer information. John,Smith,john@company.com,"","",""","","","","This guy is a cool dude, and he's also pretty helpful." Companies – You can add a customer to a company by filling in the "Company" column. This will either create/find a company record and associate the customer to that company. Creating Customers/Companies with Permissions to Services – Customers that are created with a company are created with services that the company is allow to see. Convert it into a .CSV file (UTF-8 encoding is recommended). Once you've done that, upload the .CSVfile.